Delicious chocolate cake with simple chocolate buttercream frosting covered in fondant. 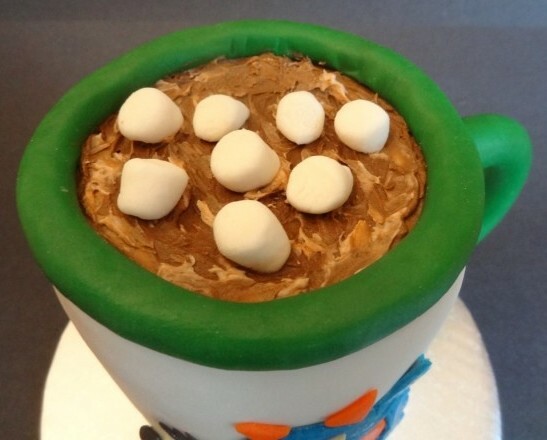 The handle and lip of the mug are made from modelling chocolate. 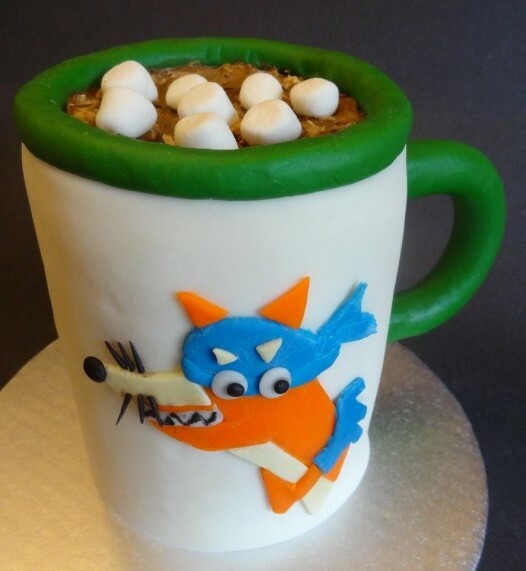 The image of “Swiper” is made from fondant and mini marshmallows are scattered on top of the hot chocolate.